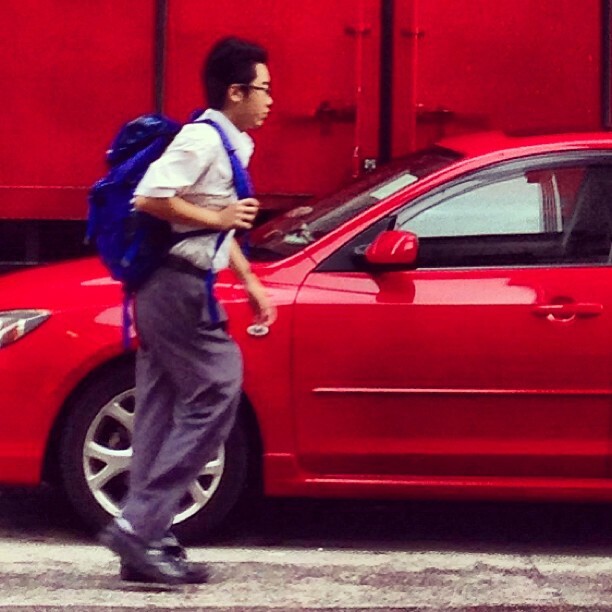 A red car parked next to a red truck provides the background for this school boy who’s in a rush to get to school. This entry was posted in Instagram and tagged boy, morning, red, school. Bookmark the permalink.